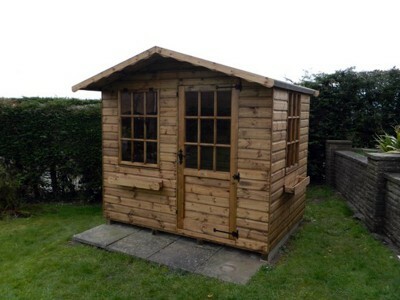 This cute summerhouse is well suited for lazy days relaxing in the tranquility of the garden. Standard Features include a half-glazed single door with a 9 pane Georgian style opening window alongside, finished off with a window box. Side windows are available as an optional extra.